Thank you so much internet! 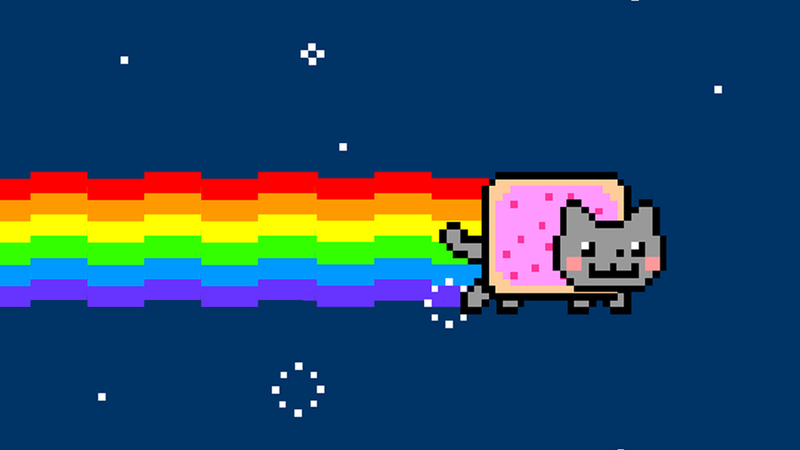 The first ever Webby Awards Meme of the Year was awarded to a half cat, half Pop Tart known as Nyan Cat. Originally an animated GIF, Nyan Cat gained international notoriety as a YouTube video spawning thousands of original, dubbed and inspired versions from an enthusiastic, cat-loving Internet. Nyan Cat beat out other nominees including Texts From Hilary, Michelle Bachman Eyes, and astrophysicist Neil Degrasse-Tyson’s amazing hands for the first-ever Meme of the Year Award.